Second the Turok 2 recommendation. Great list. I just bought sin and punishment, never even heard of this awesome game! I agree with a few others here: No list is complete without Shadows of the Empire. Just as playable today. very good list. i believe goldeneye should rank higher as most people of today still rate it as the best shooter ever created next to Doom. 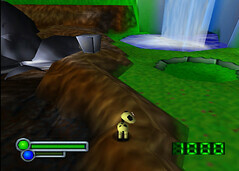 i agree about the banjo kazooie series, all bases had been covered in mario 64.
body harvest was a brilliant game. definately one of the most underrated games ever made. a personal favourite. a few of those games you had i must track down and play. 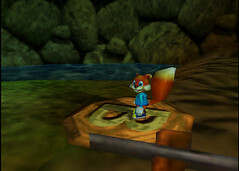 conker…..well, funniest game i have ever played. 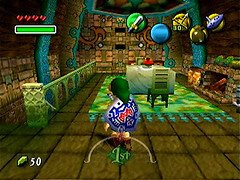 For all you people who disagree with Majora’s Mask’s placement, I urge you to give it a try. It is much better than the original OoT and the entire point of the plot has yet to be duplicated. You get three days to do as much as you can before you need to repeat the cycle, learning new things each time and keeping only the non-replenishable items. You learn deep character backstories (Kafei’s story and the guy in the music box house’s story left me in tears) which cannot be said about OoT. 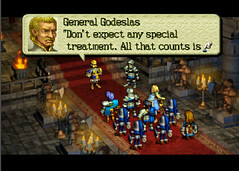 (although Zelda’s reveal was a classic and very unexpected plot twist). The whole “Groundog day” concept was one I loved. 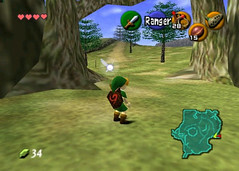 Compared to OoT it was improved upon in every aspect. On the contrary, I agree wholeheartedly with the comment made very far up along the line (and there were alot of comments) about how if you liked the three-day cycle, the game would entrance you; but if you didn’t, OoT was better. It’s because of this that both are on the list. To answer the Goldeneye and Paper Mario concerns, I must say that both are amazing but the list is created with the intension of including games which hold through the years as the best ones of their genre. Goldeneye was a great game that excelled in multiplayer, but honourable mentions is good enough in my opinion, as there are too many games nowadays that are decent fps’s. Paper Mario was my third-favorite game on the system, but everything, and I mean EVERYTHING, was copied in TYD right down to the race of each party member. And although story-wise the original was better, in gameplay and replay value (not to mention graphics) the sequel surpassed it. I have spent a combined time of over 300 hours into these two games, so I know what I’m talking about. Paper Mario dosn’t make the list because of TYD (not SPM which was the worst of the three). Also, N64 and Playstation were my first two gaming consoles (but now I play all sorts of NES and SNES games through VC- but N64 I prefer on the original system) and my favorite playstation game was Banjo-Kazooie. From this, I make my assumptions about the N64 version. (although maybe I shouldn’t…) I loved the game, and it surpassed all of those in my limited playstation library by far. 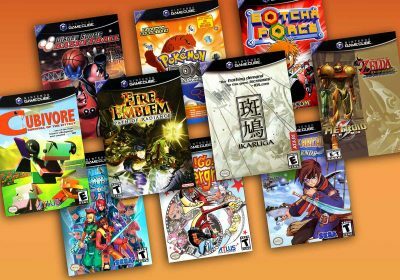 Honorable mentions are good enough for me (same with Goldeneye) because it did not make as much of an impact on me as my N64 collection. 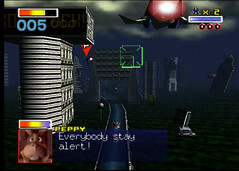 Starfox 64 had amazing and unique level progression that increased its replayability tenfold. Don’t anybody let anyone complain about it, it is not the same as goldeneye at all and should not be compared. MK64 was a great game and the best one of the series. (In my opinion.) Feel is very hard to get used to once you play the later instalments (and vice versa) but is the superior. No other multiplayer racing game delivers quite like MK64 and it has held up well. Diddy Kong Racing may just deserve an honorable mention. 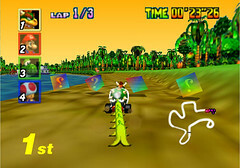 I loved it for its originality (compared to other racing games) and it was more difficult than the MK series. Hovercrafts and planes were fun to race in and grabbing the silver coins while still placing first was a huge challenge. Not to mention finding the elusive key somewhere in each “world”. The overworld was fun to explore, but perhaps wasn’t big enough. The DS port was not the same as the original. Overall, a fun game. I havn’t played or heard of Wetrix. I’ll have to see if my local retro games dealer has a copy. 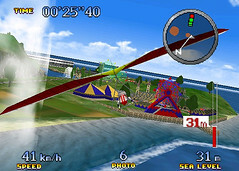 I can see the appeal of Pilotwings even though I havn’t played it, as I loved flying around with the wingcap in SM64. I can see it getting in the top spots. Mario Party (1,2,3): played and liked them all, but only rented. 3 was the best of any MP on any console only because of the extra modes and I personnally liked the minigames the most of them all. Minigames are quite common in games now and board games can be just as fun (don’t flame me for this last comment, but essentially MP is a board game/minigame compilation) so I agree with its position. Star Wars Racer: loved the PC version; the different styles of the racers and the good track layout were sweet. Recently discovered a copy for N64 from my retro games dealer and bought it immediately because of low price (can’t beat 5 bucks!). Ultimately, I liked the PC version better because of the customizable keyboard controls. (and I was used to it). 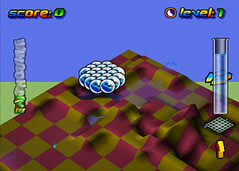 Wave Racer: Fun and addictive, I also played this on the PlayStation. Thinking back, there’s not too much I remember besides enjoying it. It’s because of this that I can’t fairly say anything about its placement. Hopefully people will look at this comment and use it as reference. 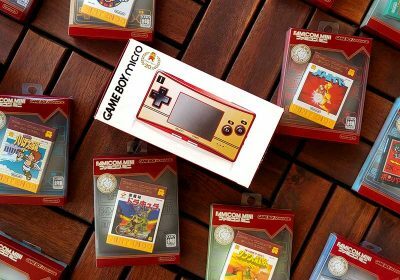 I am a nintendo fan through-and-through although I have games from other systems, so please don’t think I am biased. Wii trying to appeal to young audiences was a mistake… the Wii U is one console that I think will fix that. So far, the N64 is my favourite console and seeing this topic has motivated me to try some of the older games I have almost forgotten about. 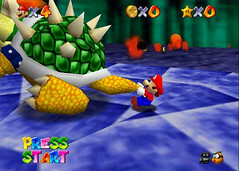 yes an excellent round up of the games that still matter on the N64. Spot on really. You are right about the honourable mentions which have not aged well or have been upgraded on later consoles. 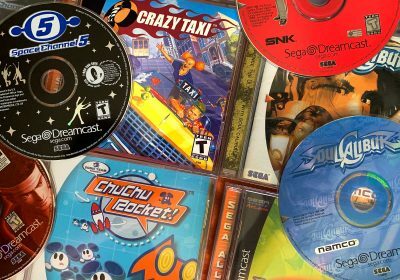 It takes more than nostalgia to truly carry a game. I think some have missed the point that Goldeneye for example isnt the best thing going anymore. Its a list of games that stand up now. The n64 was the first console I bought new was I seriously into it. I have played most of the notable games and all of the games on your list. Even though the SNES and Cube were great the N64 always has a special place in my heart. I regret selling a few lower down on your list but have been buying them again at great prices. 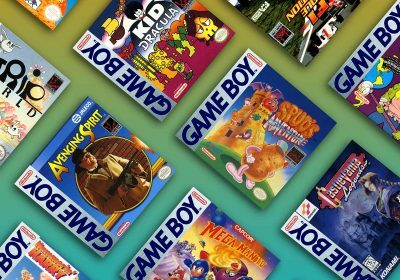 I think the newer consoles grabbed my attention but I now realise that I didnt give some N64 games a fair chance and they are a great classic retro play. Wetrix for example deserves a fair chance to get into it.even though lining up the isometric view isnt always easy. 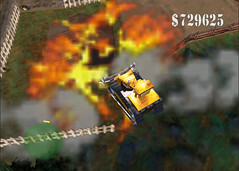 Blast Corps can be highly frustrating with the controls/camera but youve got to love it and its great retro fun. its crying out for a sequel. Im not sure I would pay £70 to get Conker again as the prices are going sky high on the net. Its a fun game though. So cheers for an informed roundup. I may have been a little hasty in saying everything on your list stands the test of time. I have been playing Body Harvest again and although it has a certain charm, to have a save point at the end of a long level was certainly unforgiveable then and now. It is clunky and slow.The technical limitations of the camera and controls make it tedious much of the time. It may be a piece of history, but its not much fun to play through now. I only paid a pound for it and will probably see it through to the end. As a game does it matter now? Not enough to enjoy playing it! There are better games like Rocket Robot on wheels and Donkey kong 64 which deserve a place before this. Even Beetle Adventure Racing has fared better than this. Many of your also rans are better than this. last comment 🙂 No you were right…Body harvest is good and gets better as the levels progress. Its just some frustrations with the save point being at the end or you have to backtrack to the last save. Its still good fun even though the draw distance is low with fogging and the handling dated. 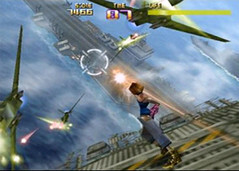 As one reviewer pointed out the harder against the clock levels can happen at the end of a long level before a save point which can be frustrating at times. No worries though and a great list. Wow! I cant think I’ve discovered your blog. Extremely useful information. you’re on crack if you don’t think that the original paper mario is the best without question. Not a single mention of Gauntlet Legends? Or Bomberman 64? Next to FPS’s, these are the best multiplayer experiences ever. No best of N64 list without Pokemon Puzzle League. It was out-of-this-world good. Even if you don’t care about Pokemon at all. I think what a lot of people love about Super Smash Bros 64 is that it’s almost akin to a chess match. 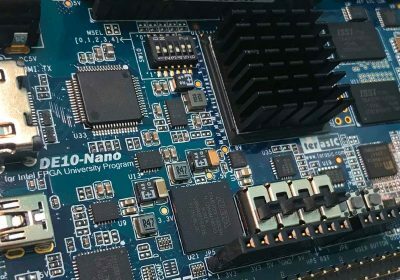 The simplicity of the physics and gameplay make decision-making and strategy almost more important than execution while playing against a worthy opponent. I played SSB64 all through high school, and then in college, a ton of my friends still played. 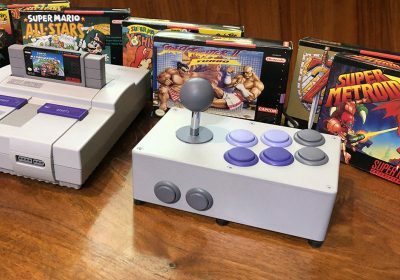 On a visit to another school, the first thing we would do is fire up the 64 and play for a solid couple of hours to see which school was the best. If someone ever finds a way to make Smash 64 available online for ranked multiplayer, you’ll see a lot more people playing it again. I think the fact that I still occasionally play SSB (as well as Mario Kart) with college buddies before heading out to the bar says a lot about its staying power. And also, I’ve played Melee and Brawl and don’t like them one bit. 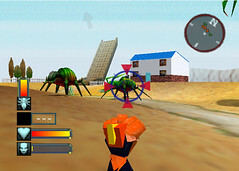 Don’t know if its been said yet, but Star Wars Shadows of the Empire was an awesome game. Great level design like train hopping through a junk yard or blasting asteroids in space, awesome boss fights like having to take on an AT-ST or the Slave 1 on foot, and good story to go with it. Remember the first time you saw the creeping death that is a Wampa trudging menacingly at you as you unload your laser pistol helplessly into it? This game deserves to be mentioned. I think it was some adventure game. The main character had one of those scarves pe something around his head and I think he was blonde… I may just not know what I’m talking about, but I drew this little “traveller” like guy for an assignment and my cousin said it reminded him of that old game, and it reminds me of it too but I can’t remember the game! ARGH! Hey, why wasn’t Paper Mario on the main list? Some, no, MOST of the things in Paper Mario still get used in todays Super Paper Mario, Paper Mario: TTYD, and even Paper Mario: Sticker Star.